NEW PRICE!!! $1,049,000. 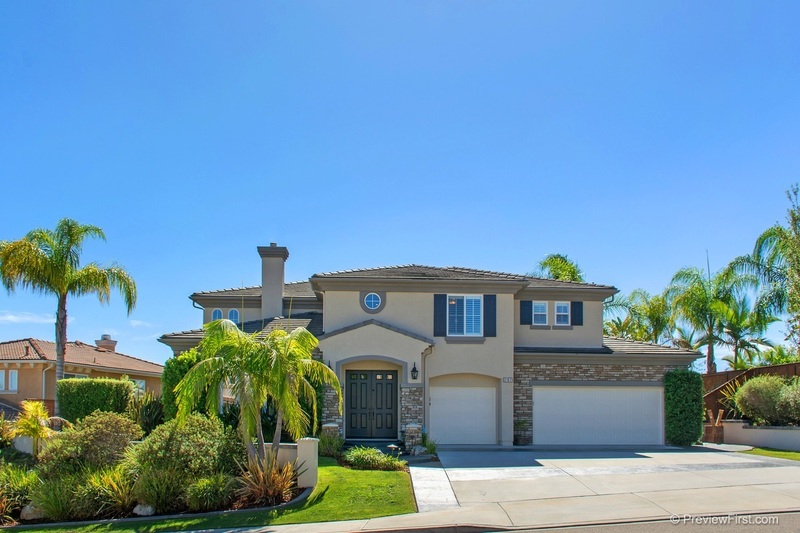 STUNNING Rancho Dorado VIEW Home. $300,000 in upgrades. Lavish use of the highest quality products throughout the home including: 20'x20' travertine & quarter-sawn white oak flooring throughout downstairs, granite slab throughout, custom staining on all cabinetry, stainless steel appliances (GE Profile oven and Bosch dishwasher), crown molding, Venetian plaster and custom paint, Kohler sinks and top-of-the line faucets, French doors. Large kitchen center island. See Supplement., JUST REDUCED!! Custom staining on all cabinets, hardwood floors in stairwell and upper level, custom fireplace surrounds, custom tile work in bathrooms, Jet tub in Master bath, custom built-in organizers in all closets, custom extended walk-in pantry, newer A/C (dual) and water heater, upgraded light fixtures throughout, exterior painted 2 years ago, landscape lights upgraded to LED (all bulbs replaced and all lights rewired), outdoor kitchen (BBQ, sink, burner, storage drawer), custom color LifeDeck patio covering, Large 4-car garage with Premier epoxy floors and custom built-ins, and VIEWS, VIEWS, VIEWS! Award winning San Marcos School District. Close to Restaurant Row, Cinema, Shopping, and easy freeway access. Jaw dropping features and upgrades will impress even the most discriminating buyers.